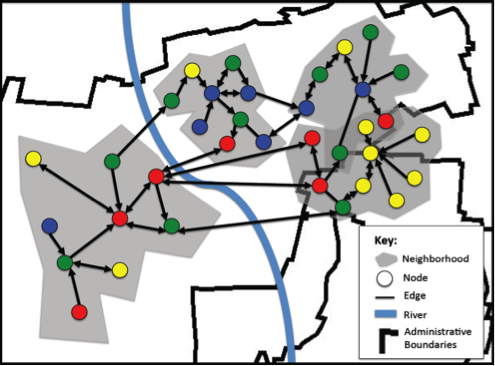 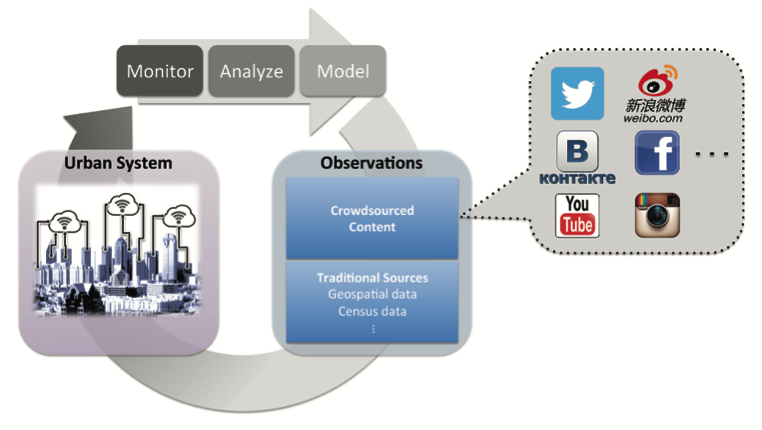 The question we are wondering is how can GeoSocial analysis help understand such cities. 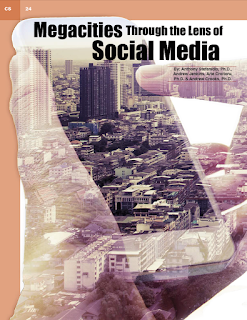 To this end, we have recently had a paper published entitled: "Megacities: Through the Lens of Social Media" in the Journal of the Homeland Defense and Security Information Analysis Center (HDIAC). In the paper we discuss opportunities and challenges that social media brings with respect to understanding the physical and cyber spaces within megacities. Below you can see the synopsis to our paper.